Patience and gentleness are invaluable Christian virtues in any occupation. Teaching, however, involves other attributes as well, and these are effectively set forth by Paul in the second letter to young pastor Timothy. Consider just four of these important exhortations to God-called teachers. Be straight. Sound doctrine is absolutely essential, the most vital criterion of all. “Hold fast the form of sound words. . . . Shun profane and vain babblings. . . . Preach the word . . . Exhort with all longsuffering and doctrine. . . . Endure sound doctrine” (1:13; 2:16; 4:2-3). Straight doctrine is the basis of everything. Be strong. One can, of course, be strong and gentle at the same time, and this is what God requires. “Thou therefore, my son, be strong in the grace that is in Christ Jesus” (2:1). A non-gracious Christian leader is a dis-grace to his calling. Be studious. The Lord has given us His inspired Word, and a “sound mind” with which to study it, as well as “the Holy Ghost which dwelleth in us” (1:7, 14) to illuminate it, and He expects us to be diligent in its use. “Study to show thyself approved unto God, a workman that needeth not to be ashamed, rightly dividing the word of truth” (2:15). 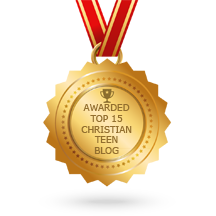 This entry was posted in A CLICK A BLESSING TODAY, CHRISTIAN NUGGETS and tagged The Teacher. Bookmark the permalink.